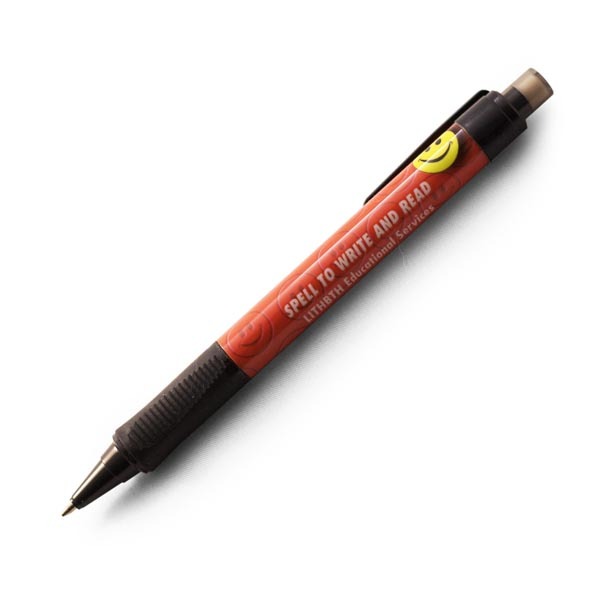 A refillable mechanical pencil your students will want to use all the time. Features easy writing 7mm black lead, a soft rubber easer with cap, and a clutch action mechanism that retracts the lead completely when your student is finished. When the student uses a mechanical pencil, the lead tip never goes dull, thus allowing the hand to have a consistent pressure while writing and a more relaxed grip. The pencil never needs sharpening so lessons aren’t interrupted.